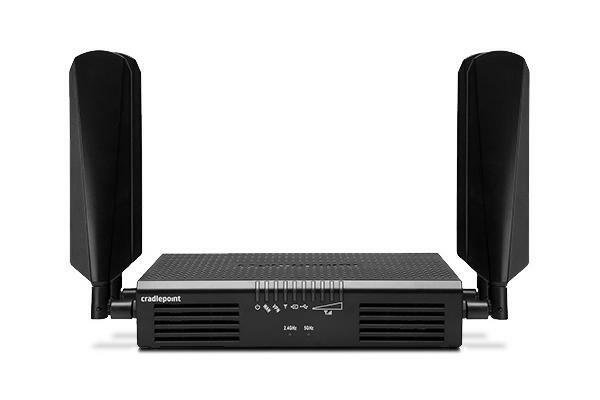 We rent the Cradlepoint AER2100LPE or Cradlepoint AER1600LPE router provisioned with an integrated Multi-Band 4G LTE &amp; 3G Wireless Modem. The AER2100 router is an Enterprise Grade Dual-Band, Dual-Concurrent 2.4GHz &amp; 5GHz Wi-Fi 802.11b/g/n/ac 3x3 MIMO Wireless Router with four Ethernet LAN Ports and one WAN Port. The Dual-Band, Dual-Concurrent 2.4GHz &amp; 5GHz Wi-Fi 802.11b/g/n/ac 3x3 MIMO Wireless Router allows you to provide up to 240 concurrent wireless connections (120 over the 2.4GHz band and 120 over the 5GHz band) that are connected to the integrated Multi-Band LTE Modem. The modem will automatically select the best Wireless 4G LTE or 3G connection available in your area - PLEASE NOTE: This unit is not powered by a portable battery. It must be plugged in to a 110VAC power outlet at all times. This rental unit is provisioned with Unlimited Data through either the AT&amp;T Wireless or Verizon Wireless network with No Throttling. - - The unit may also be pre-configured to work with your own 4G-LTE connections via AT&amp;T, T-Mobile, Sprint or Verizon when appropriate and when used with the appropriate SIM card. This unit is offered at Daily and Weekly Rental Rates with Unlimited Data per Day that you can use while on the U.S. AT&amp;T Wireless or Verizon Wireless 3G or 4G-LTENetwork. Get instant network connectivity for your Wireless and Wired Ethernet enabled devices; just power up the AER2100/1600, wait about 2-3 minutes for complete boot-up, plug-in or connect your device(s) and go. Ideal for deployment as a primary connection solution where a wired connection to the Internet is not available. The AER2100LPE/1600LPE will also support traditional wired data networks like DSL or Cable for maximum network flexibility by increasing your Internet availability to ensure maximum uptime with business continuity features like 4G-LTE failover/failback. When configured, the router detects network failures in your primary connection and seamlessly switches over to another active connected data source – keeping your network online. The Bandwidth provided by each of the integrated Multi-Band LTE modems can &quot;Theoretically&quot; provide up to 100Mbps of Downlink bandwidth and up to 50Mbps of Uplink Bandwidth when connected to an un-congested Wireless 4G-LTE network in an Excellent reception area. In reality, the best connection speeds I've seen to date have been 73.51 Mbps Downlink and an Uplink of 39.66 Mbps. However, the typical 4G LTE connection is about 3-12Mbps (with bursts up to 15Mbps). The typical 3G connection is 600-1400kbps (with bursts up to 3100kbps). per day Unlimited DATA Wireless Broadband Equipment powered by either 4G LTE (Verizon, AT&T, T-Mobile or Sprint) 4G-XLTE, 4G-LTE-A & 3G Wireless Broadband Equipment. And Two-Way Commercial Grade UHF radios.